Let’s take a look at the features available in each of these areas. When directed to set up URL forwarding for a domain, Google Domains configures the domain with an A record that specifies the IP address of the Google web server that performs the HTTP redirection. 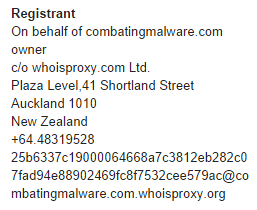 Conveniently, the user of Google Domains doesn’t need to know how DNS or HTTP works to set this up. 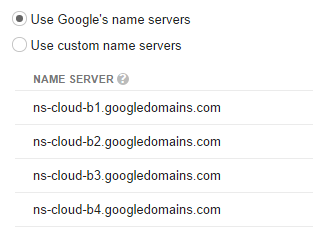 For this feature to work, the domain needs to be configured to use Google’s mail servers, which Google Domain accomplishes by automatically defining the appropriate MX record. Once again, the goal is to simplify domain configuration for non-technical users, while giving the more technical people the ability to override default settings and configure additional domain records in the Advanced tab. The Settings area of the dashboard allows the user to pay for extending the length of the domain’s registration (1 year $12) and unlock the domain for transferring it to another registrar. Moreover, the user can control the privacy of the domain registration record, which is a major differentiator for Google Domains, because this feature is available without additional fees. Consistent with the ease-of-use theme of the other Google Domain features, the service makes it very convenient to protect the privacy of domain registration details. Google Domains is in invite-only beta at the time of this writing; however, even in its current state the service use useful and appears bug free. As it matures, it will provide a useful resource to smaller companies and encourage other domain registrars to innovate to remain competitive. If you’d like to see what is involved in transferring an existing domain to Google Domains from one of those registrars, see my post First Look at Google’s New Domain Registrar.